Sorry I've slacked with posts over the last week and even on Friday. >_< I intended this post to go up a bit earlier, but as you can see that wasn't the case. I did a major swatch-a-thon for me and got 36+ polishes swatched over the last few days to prepare for this week. ;) Now it's just actually sitting down and weeding through all the photos and writing posts :P So yup, they will still probably be late! 50 Shades of May-Be has a clear base with silver/white shimmer and various shapes and sizes of silver, black and white glitter. I used 1 coat over 2 coats of Sinful Colors Cotton Candy and a top coat of Sehce Vite. Love this color of over pink because all the glitters really stand out. :) I also love that large black hex glitter on my index nail! The Red One has a red base with assorted red glitter shapes and blue iridescent flakes. All nails are 3 coats over bare nail and a top coat of Hong Kong Girl Top Coat. Springtime for Grinchie contains small green squares and hexes, neon green glitters and matte pink hearts. I layered 1 coat of 2 coats of OPI Who The Shrek Are You? and a top coat of Seche Vite. Find Lynnderella polishes through eBay by visiting Lynnderella.com. 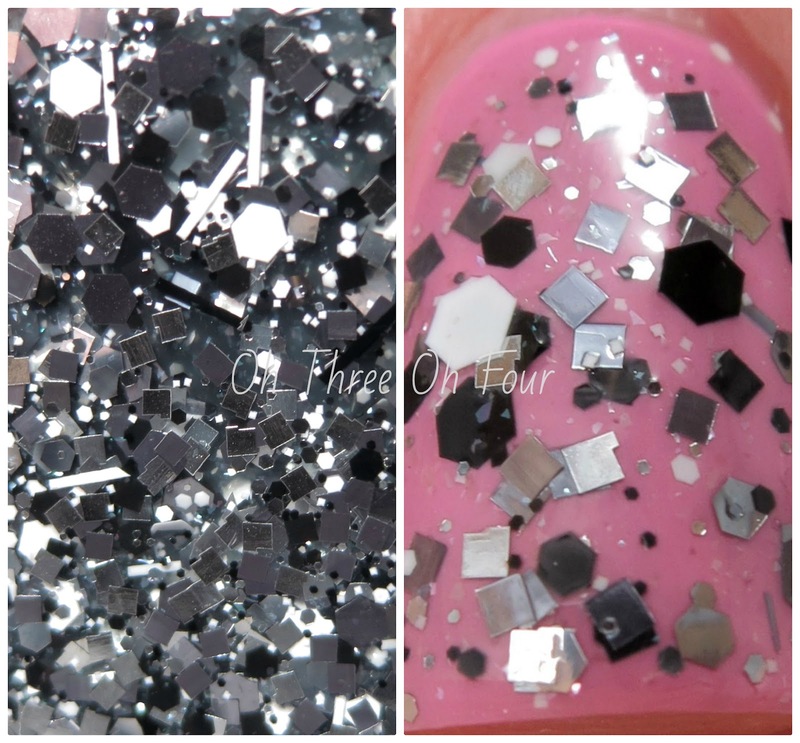 Soon Lynnderella polishes will be available to purchase through Norway Nails, for you international lovers! Follow all the Lynnderella fan pages on Facebook, Twitter, Instagram and Tumblr. 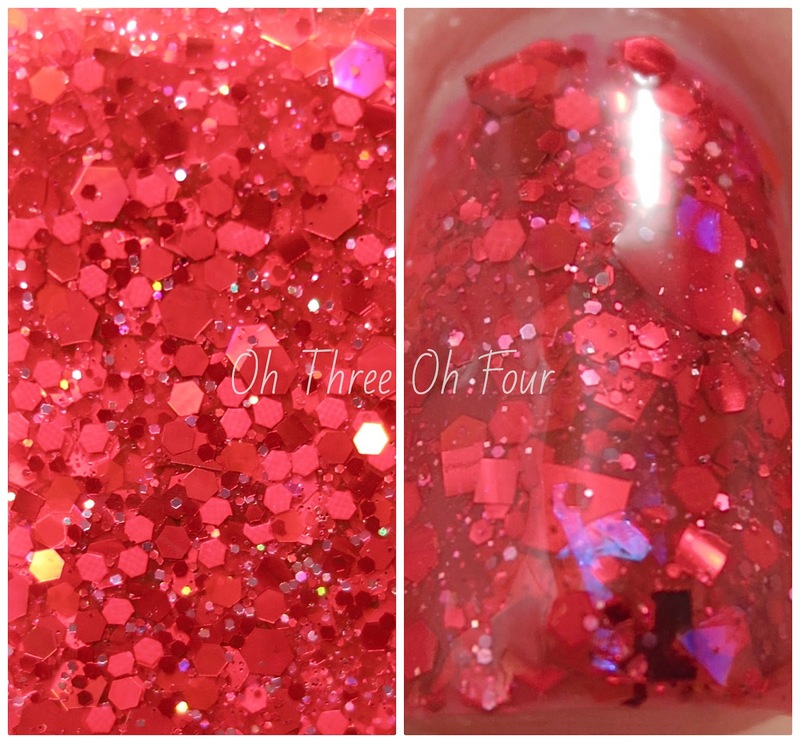 Be sure to stay tuned to Lynnderella's blog and Norway Nails on Facebook for updates on when Norway Nails will be stocked! Make sure to also check out the giveaway tab on the Lynnderella Facebook page or my Facebook page, for a great giveaway!